Partial Wrap for Aloha Construction - Philadelphia Vehicle Wraps - Apple Graphics Inc.
Aloha Construction is a local contractor and construction company who needed a branded vehicle wrapped with their logo and list of services to attract more viewers. One of our designers came up with an awesome concept for a partial wrap that blended with the truck paint color and fit perfectly into their wrap budget. 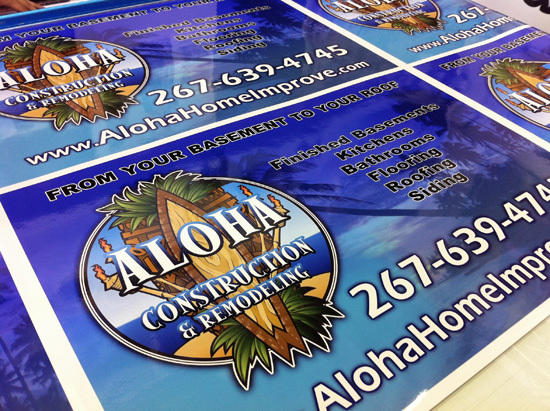 We also printed several signs and marketing materials for Aloha Construction that look uniform, professional and match their entire company's brand. 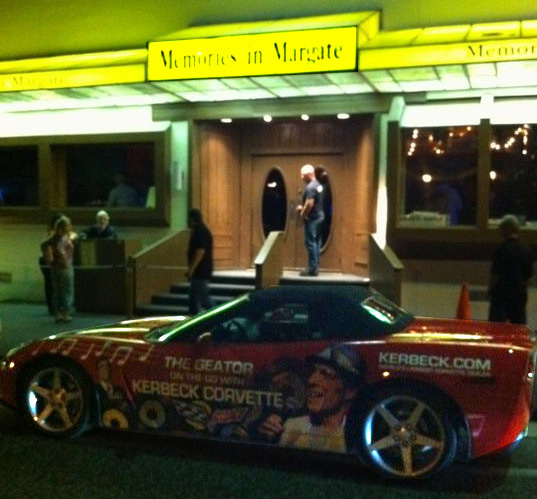 Here are photos of the final partial wrap & signs. Contact Apple Graphics for any wraps or advertising needs! Step & Repeat Red Carpet Backdrop - Apple Graphics Inc.
We are offering great pricing on Custom Step and Repeat Red Carpet Backdrops. We have done several this summer for Entertainment Companies, Fashion Shows & Premier Openings. 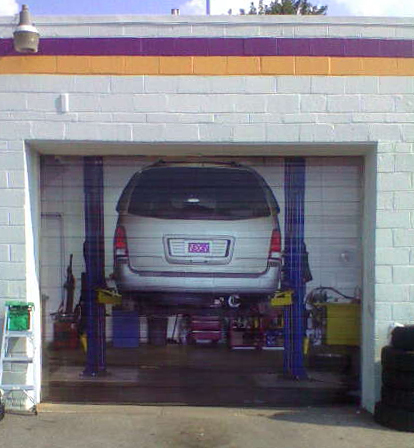 Your or sponsor logos will be printed in Hi-Resolution on high quality vinyl material. Please contact us for custom pricing on specific size of your backdrop and red carpet.